Have You Heard Of Fishermans Point? This tranquil image titled ‘Fisherman’s Bend’ Hawkesbury River is from the original Tyrrell Collection (glass plate) and by Henry King 1880-1900. It certainly evokes a relaxed river lifestyle in the Australian bush. ..Fisherman’s Point, lies on the southwestern shore of the Hawkesbury River,immediately north of Bar Island,at the mouth of Berowra Creek. Previously called Fisherman’s Bend, it was named Fisherman’s Point on an 1831 survey map which also records a 35 acre (14hectare) land grant to two businessmen F J King and R W Robinson. The above is Courtesy of Hornsby Shire Council Library Local Studies Collection. This beautifully hand crafted Christmas card sent out by Jack Foster (the original Fosters proprietor) sends out not 100, but a 1000 good wishes, symbolic to the wonderful spirit of the Festive Season. Although the Fosters Store was purchased by Jack Foster in 1914 the card ornately decorated using a range of Art Deco symbols and patterns indicates it’s circa the 1930s. It is also very fitting that the image shows the majestic and natural setting of Berowra Creek to convey this message of good will. The team at Berowra Living History wish all our community a happy, and safe Christmas! Looking at this snap, which was part of Tony Sneddon’s 1974 Geography Project we can see why the above phrase describes the location of our lovely area of Berowra and why it was used on the popular bumper sticker. It was suggested that the photo may have been taken from the roof of the then Sneddon’s home out along Turner Road at no 145.Certainly the Berowra Waters Ferry in the middle of the image looks to be very much in the distance. Berowra is an amazing community, with a fabulous history, and at Berowra Living History, we love nothing more than hearing from our community. Your memories, photos, memorabilia and recollections are the lifeblood of the project. Berowra Living History is the history of the community – you! This is why we love hearing from our community and one recent comment was made which we wanted to share. Around this time I, and two of my friends Geoff, and Dennis Doherty were members of The 1st Hornsby boy scout troop. These collection days were organised, and the community asked to assist. The scouting movement was asking those boys who could, to participate. After X amount of hours spent on collection days, each scout would receive a badge, of which we were all very proud, to be worn on the scout uniform shirt. This badge was of red silk, with the letters N S, in gold, standing for national service. On the days of the collections many of the community became involved along with a number of school children. A local man Erney Baker, used to come along with his lorry, an old Willys Knight . He would drive around Berowra with all of us young ones, going house to house, asking for items to help. We would collect car tyres, old copper boilers, scrap brass, bottles ,old car batteries, news papers . . . While writing this, my mind travels back to (old Berowra) the time when there were only 300 residents on the electoral roll. Most of us were a bit poor financially, but we were soooooo, patriotic. If you have recollections or even just a short comment you would like to share, we would love to hear from you! The 2 illustrations presented here are the work of Arthur Collingridge.He was a Painter and Illustrator (1879-1901) of Australian Scenes. Arthur was a founding member of the Royal Art Society of New South Wales, along with brother George Collingridge. In the summer’s golden prime. 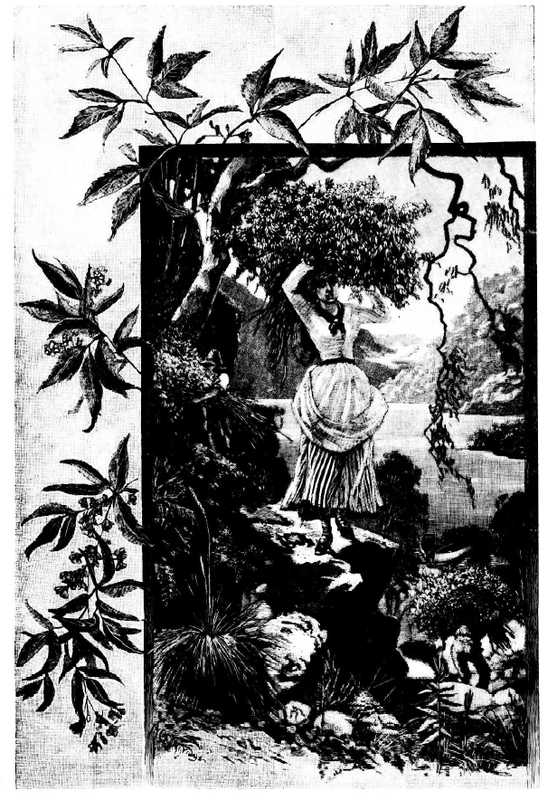 ‘Christmas Bush’, the second image appeared in The Illustrated Sydney News Christmas Issue on December 25,1886. Clearly Christmas Bush (Ceratopetalum gummiferum) has always been very popular and ‘is at this season of the year in glorious blossom’. As the year comes to an end and the weather becomes warm the bush around Berowra comes alive with colour. Berowra has long been known for its amazing floral displays and at this time of the year, with Christmas approaching there are a number of plants which were once harvested by residents and visitors alike to festoon their festive tables and of course decorate their homes. 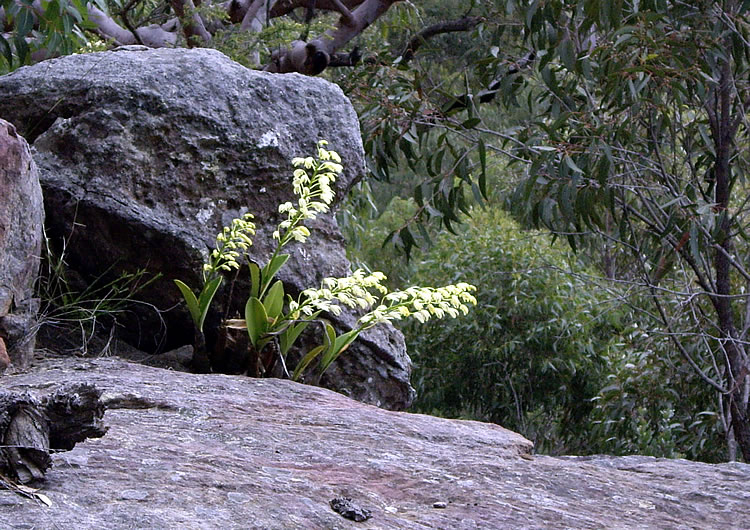 In the past, Berowra Living History has focussed on the beautiful Christmas Bells which flower among the rocks in the local bush, but this is not the only flower associated with Christmas to attract early flora hunters to Berowra. 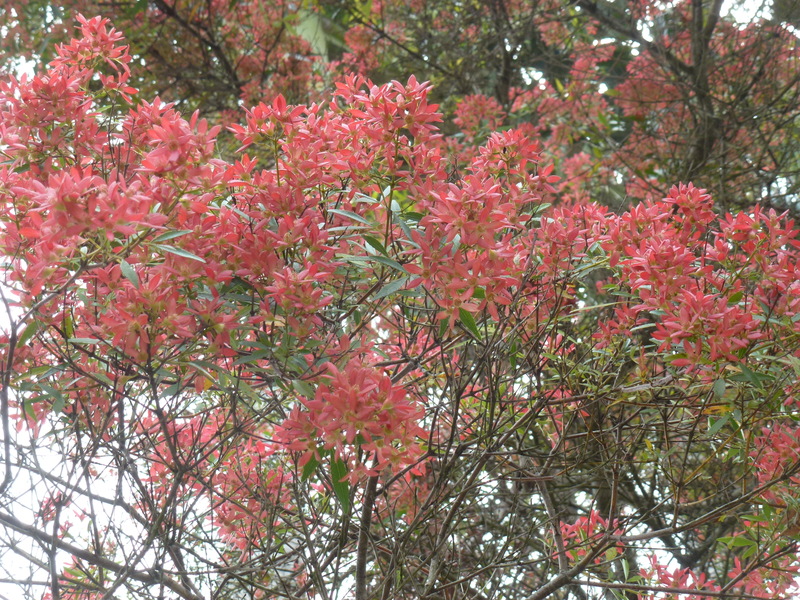 Christmas Bush, which flowers abundantly with bright red, star shaped flowers is another. The flowers, which begin as white blooms and darken to red as they reach maturity were perfect for Australians who wanted to bring a touch of nature inside as they might once have done with Holly and Evergreen. As a result there was a booming trade in collecting Christmas Bush for sale in the Sydney markets, often in arrangements with bracken fern. 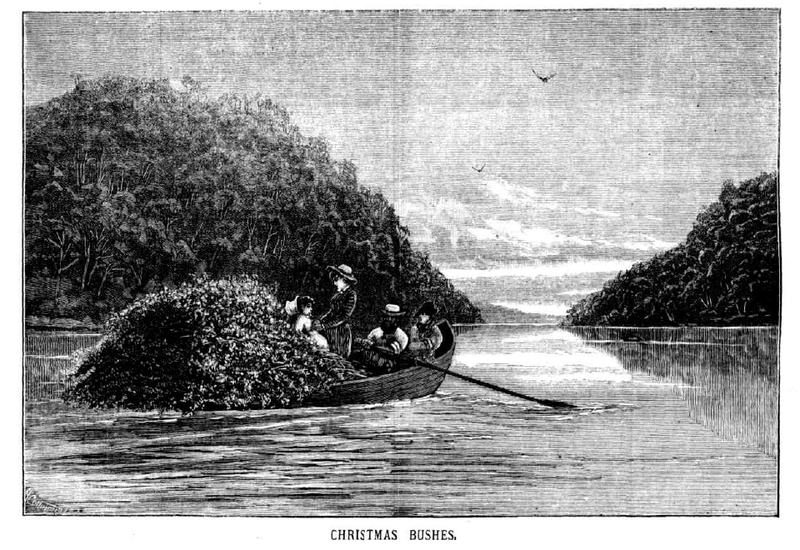 Both bracken and Christmas Bush were available in abundance in the Berowra area and many visitors departed with armfuls to take back to their homes. In one of my local rambles (or should I say “bush bashes”) off the Fire Trail at the end of Turner Rd, I made a surprising discovery. 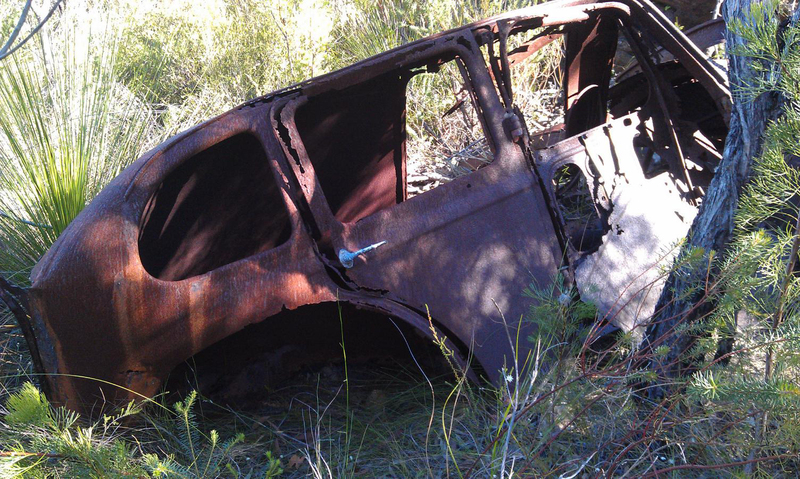 I stumbled across a rusted out, very old, possibly vintage car belonging to the 1930s period. Only the shell remained, the wheels and motor had long since parted company. 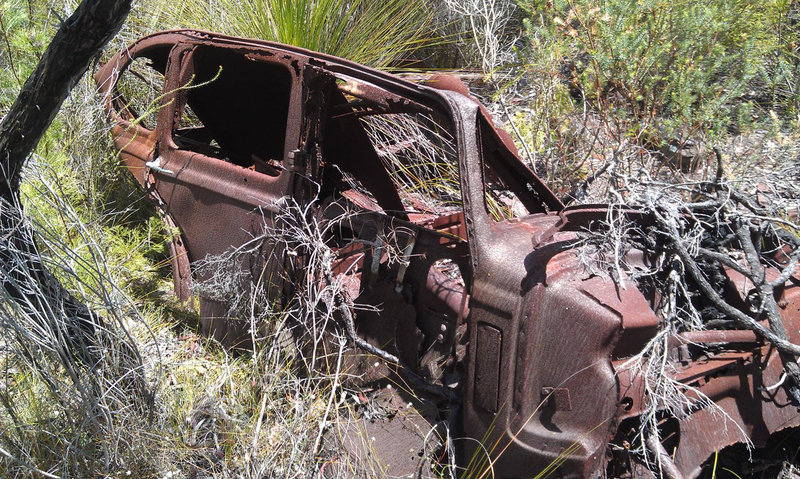 This “rust bucket” was firmly wedged in amongst sandstone outcrops. A number of tall trees and shrubs were blocking the car in its final resting place, ensuring it was going nowhere! Indications are that it had been there for some considerable time possibly well over 30 years. Did a local Berowra resident once own this car? If so who was it? How long had it been lying there in state….20, 30, 40 years? Are there any local “old timers” or expert “rev heads” who might recognise this car from the photos? Palm Sunday has just passed and we are about to celebrate Easter. Many of us give and receive Easter eggs, symbols of new life. Palm Sunday with its procession of Christ on a donkey is celebrated by groups around the world. How many of you remember the Palm Sunday street processions in Berowra sometimes even with a donkey? Perhaps you walked in the combined churches procession or joined the group for the open air gathering at the conclusion of the walk. Do share your recollections. Good Friday 2014 falls exactly a week ahead of ANZAC Day with its commemorative marches and services. As people worldwide remember the events of the first Good Friday their thoughts may also move to those who gave their lives for others in Gallipoli and so many places. Some may even connect the donkey of Palm Sunday with the sturdy donkeys that bore the wounded in that far away place of pain and bravery.